It's perhaps fitting that my prevailing memory of this year's Isle of Wight Festival will be guitars. 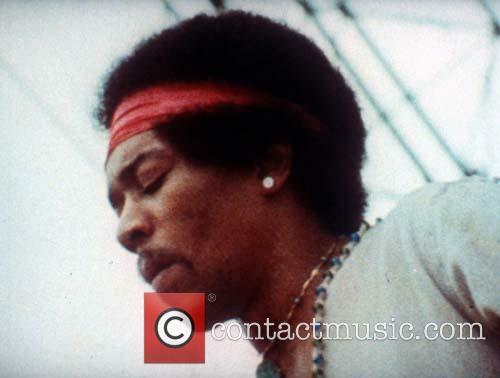 This was after all the 45th anniversary of Jimi Hendrix's legendary performance on the Island, something that was being widely celebrated by festival organiser John Giddings and his team across the site. Fender, for example, brought some specially designed guitars to the party for artists including You Me At 6 to play, and there was also a world record attempt for the most number of people in one place to be wearing a mask, the face in question was naturally Hendrix himself. Despite that backdrop, it was some of the guitarists who played across the weekend that demonstrated the power of the instrument and reinforced that guitar based rock isn't on its last legs as some have speculated over the past few years. The festival got into full swing with a Stones-esque swagger on Friday afternoon when The Struts took to the Main Stage. Their enthusiasm signalled a continuation of their set from the previous year's festival, indeed they are an ideal opening act when you want to energise a crowd. Their appearance at Download the following day, will no doubt have had a similar effect. There seemed to be a Rolling Stones theme to many of the acts getting the festival underway. Over in the Big Top The Ruen Brothers covered 'Miss You' during their rousing set that was well received. The first moment that sent a shiver down my spine this year was the Counting Crows though. The guitar line to 'Round Here' sent a wave of excitement across the main arena. It was a strong opening statement in a nine song set that featured the likes of 'Mr Jones', 'Miami', and 'Rain King' into which singer Adam Duritz dropped some Elbow lyrics as a nod of the hat to Guy Garvey. If Counting Crows' guitars weren't haunting enough, it was actually The Black Keys' Dan Auerbach whose riffs were the most powerful and elemental of the day. The dirty Blues grit of Auerbach's playing was like a roll of thunder that saw the heavens open to drench the crowd in torrential rain. While much of the set was dedicated to material culled from 'El Camino' and 'Brothers', rather than recent record 'Turn Blue', the band's graduation to a headlining slot was well deserved and warranted. The final song of the set 'Little Black Submarines', which builds from a delicate solo performance to a dramatic climax, utilised every trick in the book for The Black Keys' expanded touring band. If Patrick Carney's drums and Auerbach's guitars are the perfect union on record, it seems their live shows rightly now have the power to command top billing with the inclusion of bassist Richard Swift and keyboardist John Clement Wood. The rain may well have seen audience numbers for Groove Armada's appearance in the Big Top swell, but The Prodigy certainly took the prize for battling the elements. Keith Flint menacingly prowled around the stage for a set that was book-ended by well-known tracks from 'The Fat Of The Land'. Far from being a nostalgic trip down memory lane, a fair amount of recent material from 'The Day Is My Enemy' featured in-between, which fuelled a rallying mood amongst the crowd against the rain. A rare live outing for 'Ibiza' from that recent album, and an encore featuring a climactic 'Take Me To The Hospital' certainly stood out as high points. With the rain failing to dampen spirits, Saturday brought the best moments of the festival. Blur's Graham Coxon took the prize for hero of the weekend in my book. His guitar work on stage was impeccable, injecting a spiky and Punky edge into a set perfectly balanced between new material ('Lonesome Street' went down a storm), the hits (Phil Daniels turned up for 'Parklife'), and the more obscure cuts ('Trouble In The Message Centre'). While Damon Albarn wasn't short on charisma, he admitted that he'd been struggling with a sore throat. Coxon's efforts made up for any problems Albarn was experiencing and his spirited guitar work seemed to channel the ghost of the ever-present Hendrix at times. This is the best evidence yet that the rejuvenated Blur are at the height of their powers, the camaraderie between all four members was palpable, and judging by this performance Coxon has earned his place as one of the best guitarists on the circuit today. Earlier in the evening, Stiff Little Fingers had also channelled the spirit of a different icon, Joe Strummer. Their set in the Big Top had started with some cuts from their early records, before the appreciative audience were treated to an explosive version of 'Strummerville', as the song came to a conclusion with the familiar strains of "Clash City Rockers" ringing around the tent, it was obvious this would be a performance to remember. However, on the Main Stage, Pharrell Williams was also putting on a memorable show. As you'd expect, his set included 'N*E*R*D' material, alongside covers of Daft Punk, and Gwen Stefani. Not one to be left out of the Hendrix celebrations, Williams also got his guitarists to cover 'The Star Spangled Banner' and 'Hey Joe', before launching into an encore that featured both 'Happy' and new song 'Freedom' which threatens to be just as big a hit. That he invited children being helped by charity WellChild on stage for the encore just added to the party atmosphere. It wasn't the first time audience members had been on stage on Saturday though. James' performance was heavy on new material, leaving some disappointed to find this wasn't going to be a traditional crowd pleasing festival set. Opening with 'Sit Down' was certainly a good start, but the crowd reaction seemed somewhat subdued until 'Come Home' and 'Laid' made late appearances. The latter saw an impromptu party on stage as frontman Tim Booth beckoned punters up to dance around the band. If James left the audience a little cold, James Bay's earlier performance had certainly cemented his place amongst the big names on the bill. The 24-year-old had the warmest reaction of the day aside from Blur and Pharrell Williams. That this is one of his first big festival appearances of the summer bodes well for him considering he has just a handful of releases under his belt. Talking of promising talent, Sunset Sons were a welcome surprise in the Big Top during the afternoon. The band who have just been announced as the support for Imagine Dragons gigs at the O2 in November, are still working on their debut album, but if their brand of Indie Rock is as infectious in the studio as it is on stage, that album could be a real treat. Not everyone in the Big Top had a good afternoon though. Chicks On Speed suffered deafening feedback on a number of occasions, which understandably knocked their confidence. That half the audience walked out in confusion and terror from the Noise Pop they were hearing seemed disappointing, perhaps their performance of 'We Don't Play Guitars' had gone against the prevailing mood of the festival and angered the spirit of Jimi Hendrix that was hovering over proceedings. Certainly, their cover of Talking Heads' 'Burning Down The House' was a saving grace for those that stayed. The Big Top continued to provide some welcome surprises on the Sunday, with Aussie six-piece band Sheppard putting in a strong performance. It's little surprise that their debut album 'Bombs Away' has garnered such a strong following in their native Australia. A year after its initial release, it's now being rolled out worldwide. This was one of the first times that festival goers in Europe have been able to a get a glimpse of songs like 'Geronimo' in a live setting and it's been well worth the wait. The catchy melodies and loud guitars that anchor their high-octane Pop bode well for their future success. You'd perhaps not expect it from a band finding their feet, but the cover of Wheatus' 'Teenage Dirtbag' that was included certainly gave the original a run for its money. In honesty though, the laid-back mood of many of the Sunday artists was most pronounced on the main stage. Jethro Tull's Ian Anderson may have divided opinion with his flute playing, but Imelda May and Sweden's First Aid Kit certainly won over the crowd. The latter dedicated a song to Emmylou Harris ahead of the Polar Music Prize in their home country this week. For many in the crowd, it was a pleasant surprise that their mix of Folk and Country carried enough weight to justify their Main Stage booking. Someone who had little to prove though was Paolo Nutini. On the back of the success of his third album, he could have comfortably headlined the day, and I'm in no doubt that if illness had continued to plague the Fleetwood Mac camp he would have. Nutini is an impressive showman and his re-workings of his earliest hits like 'Jenny Don't Be Hasty' certainly show how far he's come in the last decade. For many I think he will be high on people's list of festival favourites after this show, with an acoustic version of 'Last Request' receiving a thunderous reaction at the end of the set. Finally then, Fleetwood Mac underlined the importance of classic guitar riffs to this year's Isle of Wight festival. Lindsey Buckingham jokingly loosened up his hand before some of his more athletic playing; he seemed to embrace that irony with the spirit of Hendrix hovering over the event. From the opening salvo of 'The Chain', 'You Make Loving Fun', and 'Dreams' there was hardly a moment not to sing along to. Christine McVie seems to be relishing her chance to sit at a piano and play these classic songs again, and aside from one new track, this set-list was all the hits you could have wanted. A final encore of 'Songbird' may have been missing, but certainly the acoustic versions of 'Landslide' (which Stevie Nicks dedicated to Dave Grohl's broken leg) and 'Big Love' provided the real heart to the show. As the fireworks went off at the conclusion of Fleetwood Mac's set I realised that the past two hours had been the only real patch of nostalgia I'd experienced all weekend. Looking at the line-up and seeing names such as Blur, The Prodigy, and James, I'd been expecting a weekend of nineties showboating. None of the acts really relied solely on their established hits to coast through their sets though. Aside from Fleetwood Mac (where you're really looking for the hits), everyone had made a point of featuring newer material rather than leaning on tried and tested songs. 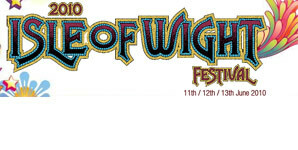 That's a good thing and shows that the Isle of Wight Festival has found a good mix of acts to draw the biggest crowd possible to keep the event as an ongoing concern nearly fifteen years after it was re-launched. The performances of the likes of Graham Coxon, Lindsey Buckingham, and Dan Auerbach certainly celebrated the heritage of the festival with acts like Jimi Hendrix and by extension his electric guitar casting a long shadow over proceedings. At one point Pharrrell Williams urged the crowd to point to the sky as a tribute to the great guitarist, after what I've seen this weekend, I'm pretty sure Jimi Hendrix will have been looking back down on the crowd and smiling.